This is now more popular than my previous big day on Twitter and sadly they’re both about things breaking on the Internet. 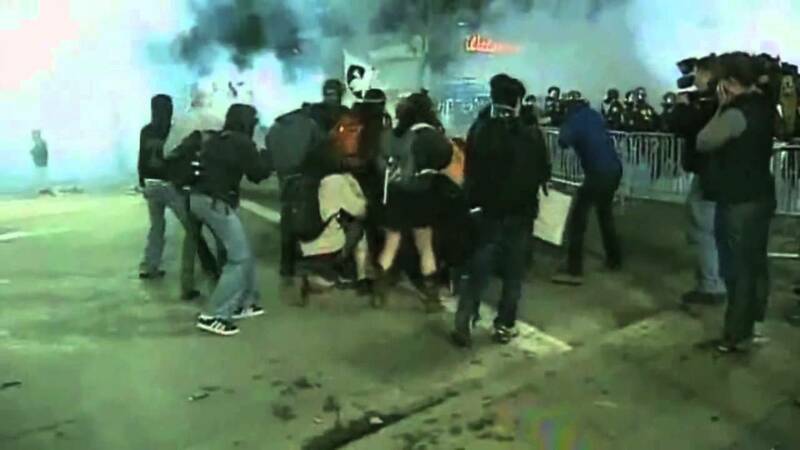 There’s a grim undercurrent, following the Occupy Oakland eviction on Monday night, that Scott Olsen may be America’s Mohamed Bouazizi. If you haven’t seen the following video already, I urge you to take a moment and watch it. It really hits me in a visceral way, it fills me with dread and anger and nausea. Last night’s march in solidarity with Occupy Oakland in New York City produced a similar video showing police clashing with protestors. Both videos use slow motion to help explain what’s happening, while elevating the emotional stakes. In the second video police are swarming against singular individuals. But I also see a police force that’s outnumbered, that’s barely holding their own. While protestors are not responding violently, per se, this is clearly outside the bounds of effective nonviolent protest. Aggressive yelling is not the same as tackling and pinning somebody, but it’s going to increase the likelihood of escalations in violence. The only way the Occupy movement can achieve meaningful change is through nonviolence. Similarly, the use of video to mobilize the public in solidarity must not overstate the case that police are wielding an inappropriate response against protestors. We only need to look to Oakland for evidence that current police tactics are dangerous and unwarranted. Or to Staten Island. Goading on a conflict between police and activists, either as a release valve for built up frustrations or for the sake of damning YouTube case studies, is bad for the OWS movement. Obviously it’s bad for police. But it’s also bad for everyone else who are watching from a safe distance hoping that something transformative can come out of all this.